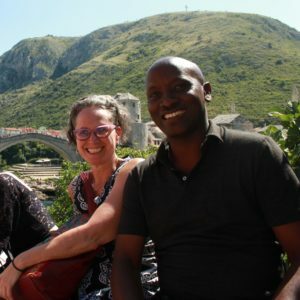 Mucyo & Kelly: “We can learn a lot from the perpetrator.” As someone who has suffered such a horrific crime, we were both touched at how sincerely Kemal Pervanic said in his post-film discussion. We are approaching this topic discussion with sensitivity and care because it’s usually very contentious (understandably so). And we offer our thoughts as neither “good nor bad” not “right nor wrong”. It is a simple discussion meant as food for thought.